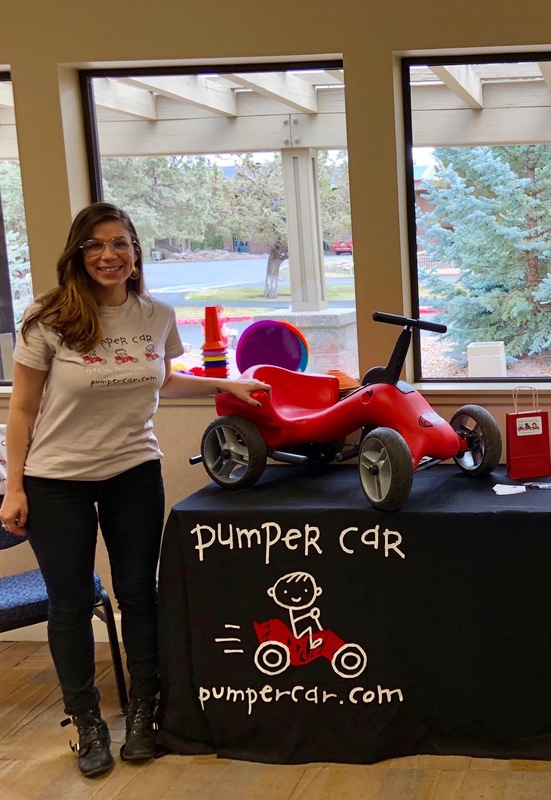 Pumper Car served as a sponsor for the Oregon Head Start Association (OHSA) Specialist Conference April 4-6 at the Eagle Crest Resort in Redmond. Close to 200 education, human resources, family services, disabilities, health and Early Head Start leaders attended the event. The OHSA is a 501(c)(3) non-profit association that provides leadership, advocacy and training for Oregon Head Start Pre-Kindergarten (OPK), Head Start (HS) and Early Head Start (EHS) programs. Our team showcased Pumper Cars at the trade show. A large number of attendees enthusiastically rode them during breaks between the educational sessions. We answered questions about the use of Pumper Cars in Head Start programs to promote kids getting vigorous exercise. It was a pleasure to meet Head Start employees from across the state. Not surprisingly, some attendees were already using Pumper Cars in their centers and shared their success stories. We wish to thank the event’s coordinators, volunteers and attendees for an informative and fun event. Also, we certainly appreciate the interest in and orders for Pumper Cars.